For a sports center to be considered a national sports center, several qualifications ought to be met. The center has to offer world class accommodation, top notch equipment and state of the art facilities. 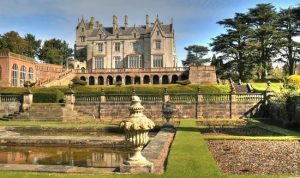 Lilleshall National Sports Center has proven to be a major contender when it comes to national sports centers in the UK. The center is located between Newport and Telford and covers a whopping 10 acres. Initially, it was a family retreat center for the Duke of Sutherland. That explains the halls and ballrooms which have since then been refurbished to sports facilities. The Ford Hall, for example, was once a ballroom but is now a martial arts and lawn tennis court. The estate turned gym and dance studio turned sporting facility has a lot to offer to England’s established and upcoming high profile sports persons. Accommodation is provided for with the many en-suite, single and twin rooms. Being of the national caliber that it is, the rooms come with a TV, WiFi, a workspace and tea and coffee making machines. There is a self-service restaurant with elite chefs who aim to provide athletes with balanced meals that are at par with their activity level. A bar is also present thus facilitating casual interactions among guests. There are 5 squash courts, a cricket field, and an archery range. The center is the home of British Gymnastics. Lilleshall National Sports Center has two pitches, both water based, floodlit and with artificial grass. One is for hockey and the other a multi-sport pitch. It is also endowed with a Sports Medicine Institute and Rehab Center and a 6 lane flat green indoor bowling alley. The center’s serene environment makes it suitable ground for events, team building, weddings, and conferences. Sports played on the grounds include lacrosse, archery, golf, netball, football, hockey, rugby, lawn tennis, badminton, and cricket.